The College of Idaho has selected Promet Source (a leading web development firm) to provide a thorough site assessment that will lead to a road map for future growth and overall development health. Promet Source to work with the College of Idaho. If their website can evolve and grow, so can their institution. 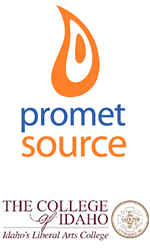 Promet Source, an industry leader in Drupal development and support, has significant experience working with higher-ed institutions such as Marquette University, University of Northern Iowa, University of Southern Mississippi and many others. Promet understands the mission of these types of organizations and the goal to provide web­‐based experiences that engage a large number of stakeholders (e.g. students, faculty and alumni). Promet Source will provide a deep analysis of C of I’s website in terms of Drupal best practices. Melissa Gonzalez, Promet’s Drupal Support Manager will lead a team of Drupal experts to ensure that the site meets best practice standards in regards to performance, code integrity, security, MySQL specific practices, architecture, integrations, and theming. These recommendations will include Drupal specific changes and steps to address any dependent integrations and systems. Promet will deliver C of I a guideline of how to navigate from the current website state to the recommended future state. Promet’s Site Audit & Analysis for Drupal is a services solution that provides a comprehensive review and recommendations based on best practices for companies and organizations with an existing Drupal site(s) or application(s) built by someone else. The College of Idaho project is an exact fit for these services - Promet performs these types of assessments on an almost weekly basis. With such experience, Promet leverages a unique insight into how to plan, design, and build with Drupal for long‐term sustainability and cost‐efficient development and operations. “We are pleased to have the opportunity to help The College of Idaho. Our work seeks to empower the missions of all of the clients we serve. In this case, we will provide C of I with the blueprints and foundation for a healthy website for years to come. If their website can evolve and grow, so can their institution.” - Andrew Kucharski, President of Promet Source.